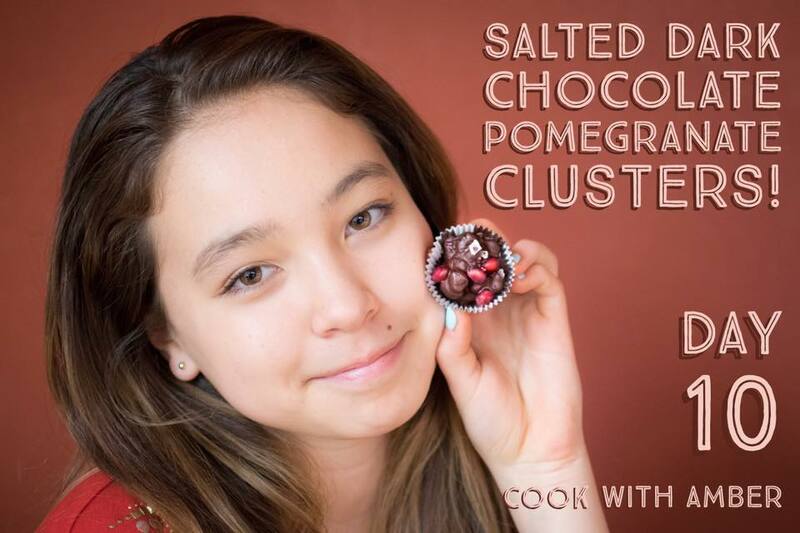 All you need is 3 ingredients to make this salty-sweet dark chocolate cluster that is bursting with pomegranates! It's elegant and delicious. Heat an inch or two of water in a saucepan over high heat, then reduce to a simmer. Create a double-boiler by placing a bowl on the pan, making sure the bottom of the pan does not touch the water. Add the chocolate chips to the bowl, and stir occasionally until melted. Meanwhile, score the pomegranate skin about an inch deep all the way around its middle. Pry the pomegranate open. Place a half of the pomegranate in your hand over a bowl, seed side down. Using a large spoon, hit the skin side of the pomegranate to release the seeds. Repeat until the seeds have dropped. You may need to "loosen" the seeds by flexing the skin outward. Repeat with the other half of the pomegranate. Dry with a paper towel to remove any moisture. When the chocolate is melted and silky smooth, carefully fold in half of the pomegranate seeds until they are coated with chocolate. 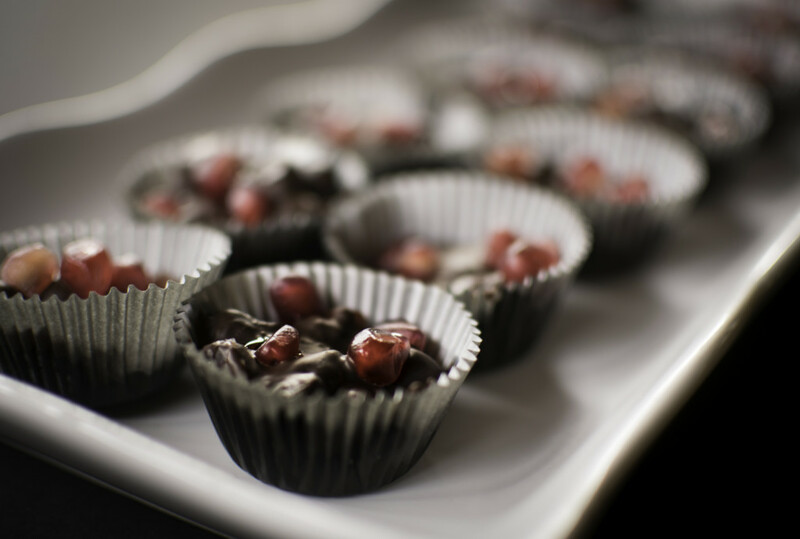 Drop spoonfuls of the chocolate-covered pomegranate into candy cups placed in a candy pan. Sprinkle with remaining pomegranates and salt. Let it harden in the refrigerator for 2 or more hours.